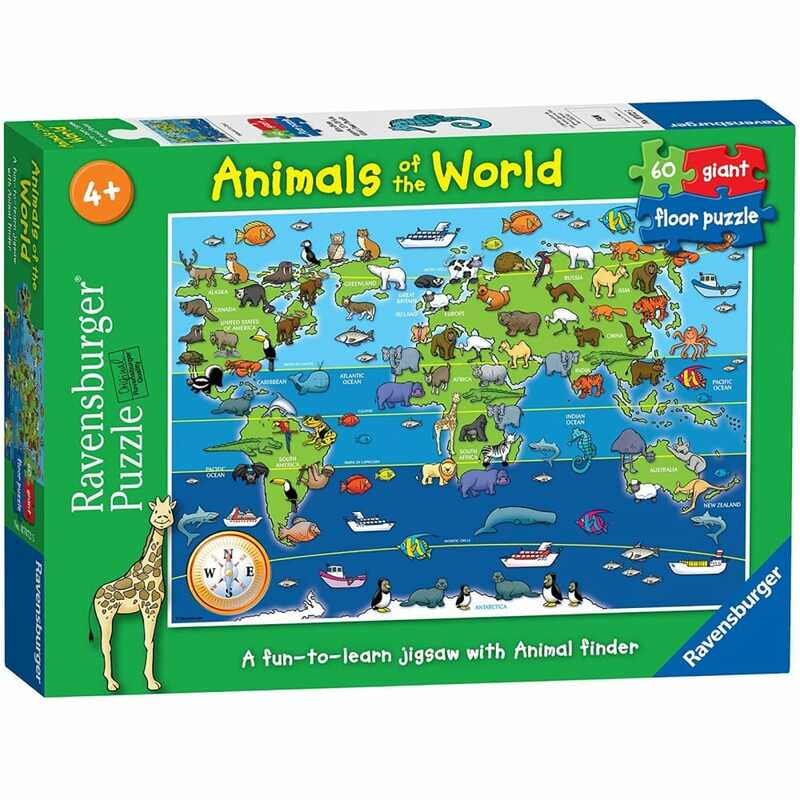 Children will love this 60 piece giant floor puzzle of the world and also includes illustrations of cute animals. There are lots of wonderful animals to discover in our world and this puzzle illustrates some of them, shown in the areas in which they are most likely to be found. The puzzle also shows the major oceans and an illustration of a compass this will help children to learn awareness of north, south, east and west.